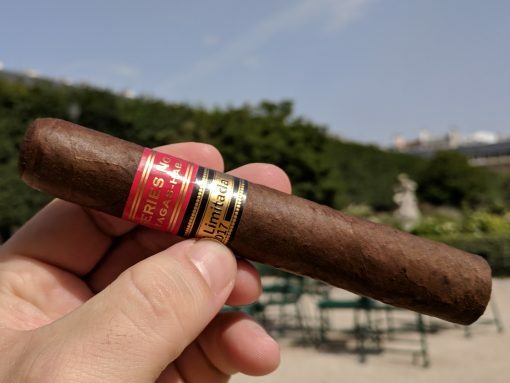 Cuban cigar conglomerate Habanos introduced the Edición Limitada in 2000, employing extra-aged tobaccos in exclusive sizes. The 2017 releases consisted of the Cohiba Talisman, Punch Regios de Punch, and this Partagas Series No.1. It’s a 5.4-inch, 52-ring gauge smoke that cost me 17 euro. The cigar features dark chocolate, earth, and oak flavors with a hint of mint. It has a solid ash, open draw, and a slightly uneven burn. Rich, balanced, classic, medium- to full-bodied flavors make this a cigar well worth trying.